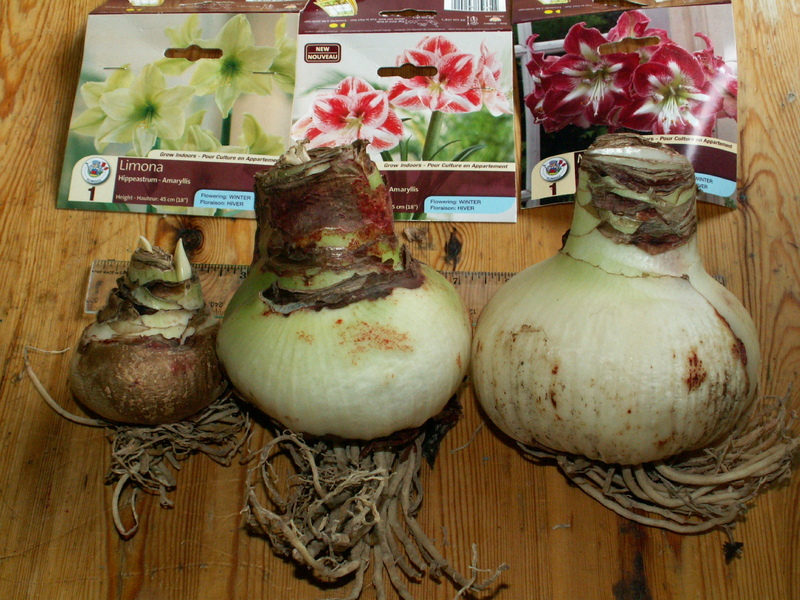 The amaryllis (yes, I know – Hippeastrum) have arrived and the mammoth bulbs are just that, mammoth. They’re rated at 42 cm circumference and I can’t wait to see how many blooms they produce. The bulb on the left is Limona (one of the novelty Amaryllis). The middle bulb, Popov, is one of the large sizes which usually produce 3 bloom stalks (sometimes 2). The one on the right, Minerva, is one of the mammoth bulbs. At this time of year, when new stuff comes in, it usually means that something else is coming to an end. 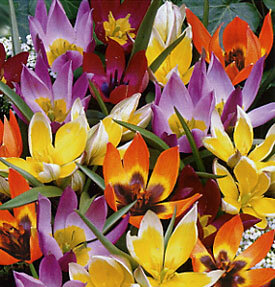 Spring bulbs are starting to slow down so I’ve made them all 50% off. We pot up any leftover bulbs for the spring, but to be honest, there’s a lot of other potting up to do and the less work added, the better. 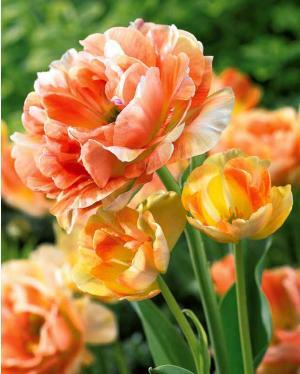 I also decided to give away a package of Orange Angelique tulips or Botanical Mix tulips with every bulb purchase. This entry was posted in Uncategorized and tagged Amaryllis, Hippeastrum, Limona, Minerva, Popov. Bookmark the permalink.